The discovery of gold or silver in the West was usually followed by a rush of people attempting to arrive at the new district first to get established in mining or business. New mining camps were hastily constructed out of materials that could be easily transported over great distances and on difficult terrain. 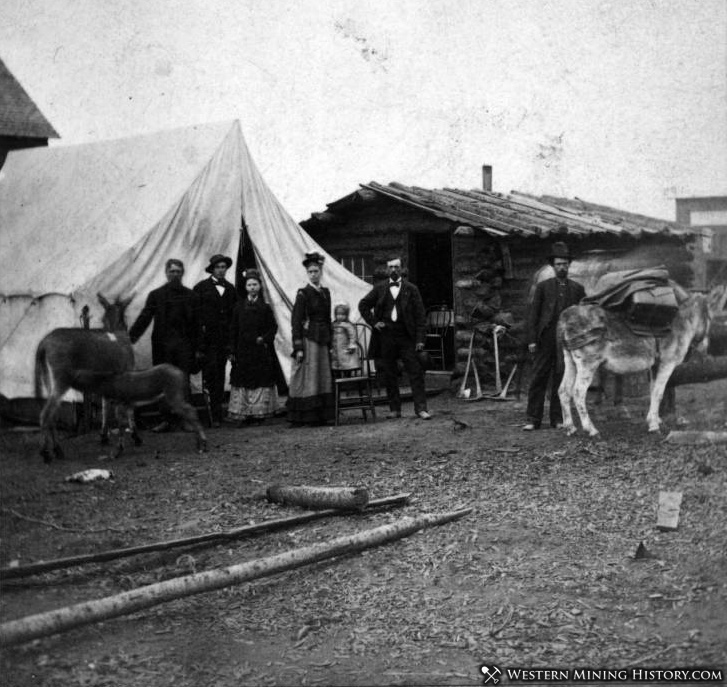 The most common early structure in these camps was the canvas tent. Tents were used for both shelter and to operate early businesses in the camps. The entrepreneur with the tent could be in business weeks before his rivals who attempted to build a more elaborate structure, and those first few weeks were a lucrative time to be selling goods or services to the hundreds or even thousands of people pouring into a new camp. 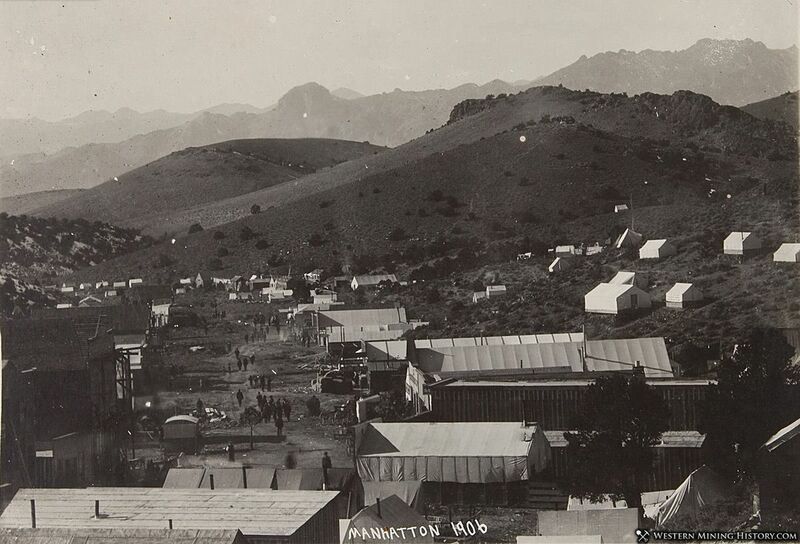 One of the most popular businesses that were run out of tents were saloons and restaurants. Boom towns would have hundreds of new arrivals that were traveling with few supplies, and inevitably they would need food and entertainment. 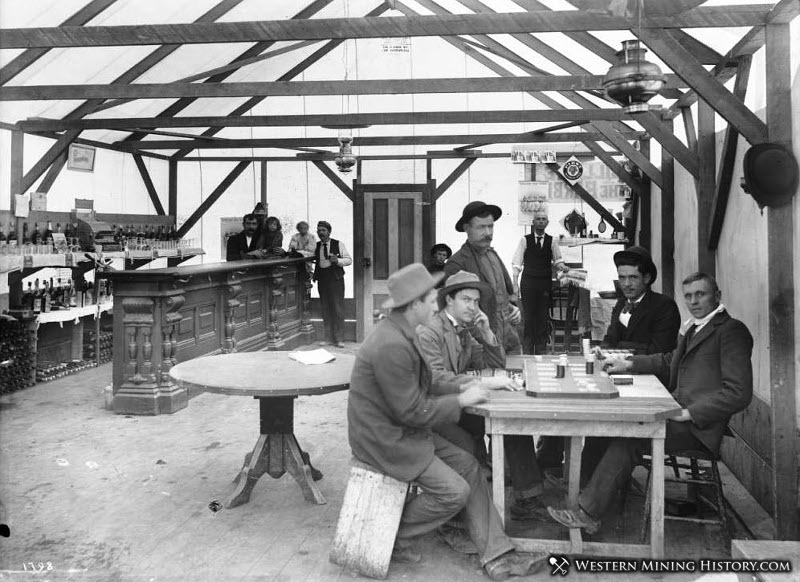 Although restaurants and saloons were the most common businesses run out of tents, just about every kind of business was run out of tents at one point or another. The following photo shows “Hawley Puckett Attorney at Law, Notary Public” ca. 1903 in Thunder Mountain, Idaho. Another advantage of tents is that they could be packed up and moved to the next camp in the event that the rush to the current camp turned out to be a bust. Many mining rushes were the result of misinformation or outright fraud. People who’s only investment in the camp was a tent on the ground could pack up and move on to the next rush with little trouble. Tent cities usually didn’t last more than a year. Any camp that proved to have rich enough mines to last longer than a season would usually transition to wood buildings fairly quickly. 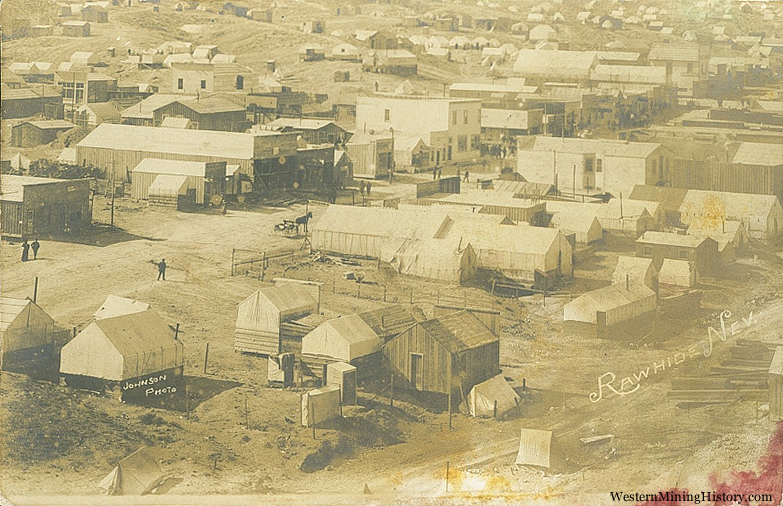 The following photo shows Rawhide, Nevada in transition from a large tent camp to a more permanent town with wood construction. 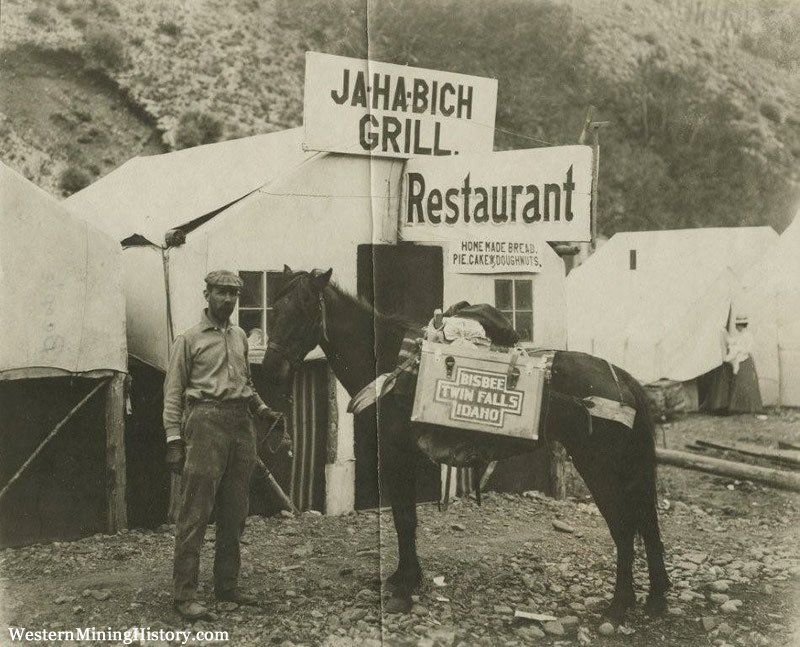 The 1920’s were the final days of the great mining era in the West. New discoveries were rare during this decade, but a few were made nonetheless. 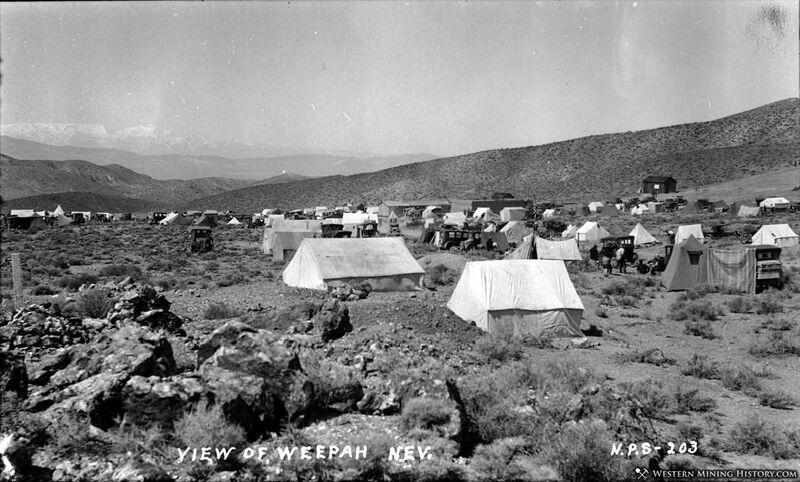 Even in 1927, at Nevada’s last rush at Weepah, the tent was the defining feature of the new camp. 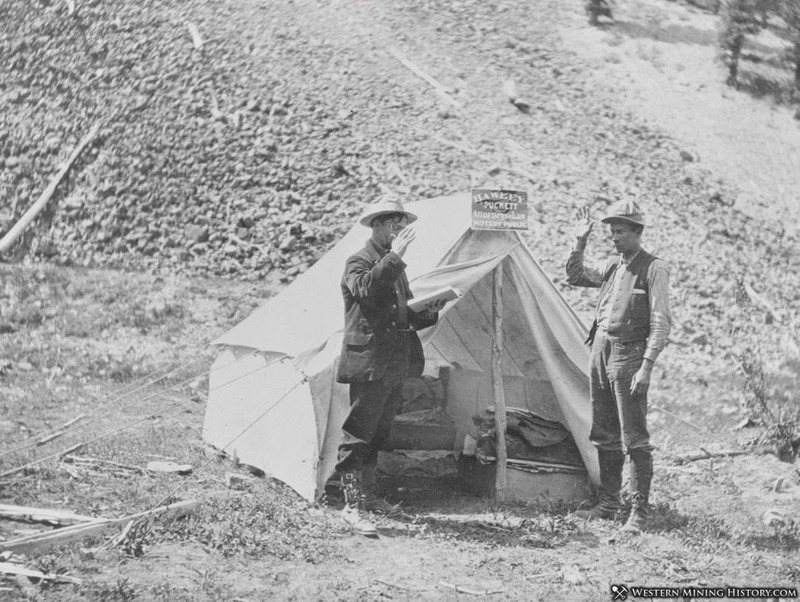 Although often overlooked, the white canvas tent was an important tool in the settlement of new mining districts in the West. Luckily many photos of early tent camps were preserved so that we can witness the earliest development of these iconic camps.